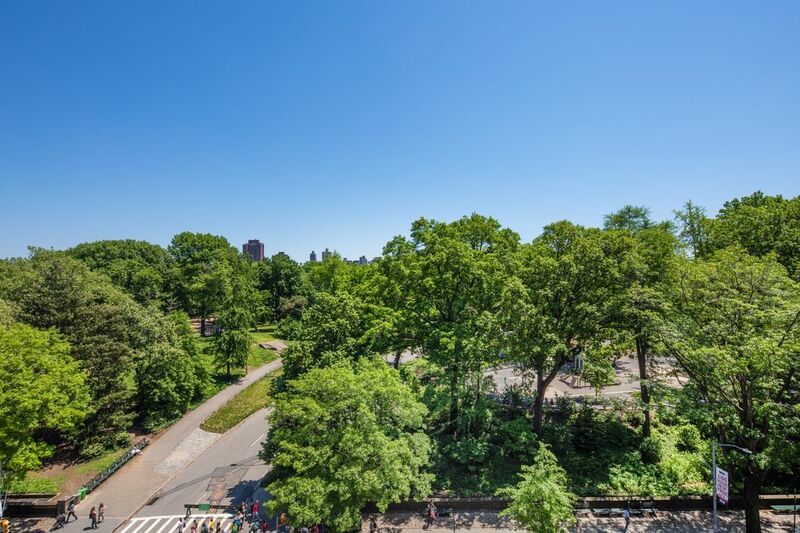 248 Central Park West, New York, NY 10024 | Sotheby's International Realty, Inc.
$19,950,000 7 Bedrooms7 Full / 4 Partial Baths9,775 sq. 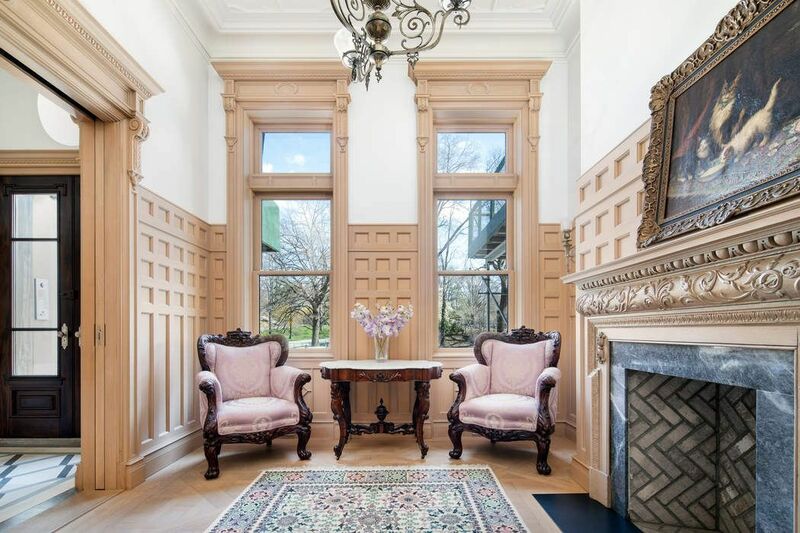 ft.
One of only three townhouses remaining on Central Park West, this thoroughly restored Queen Anne mansion affords luxurious modern living while paying homage to its distinguished past. The eye-catching facade is distinguished by an ornamental gate and restored museum-quality sandstone carvings. 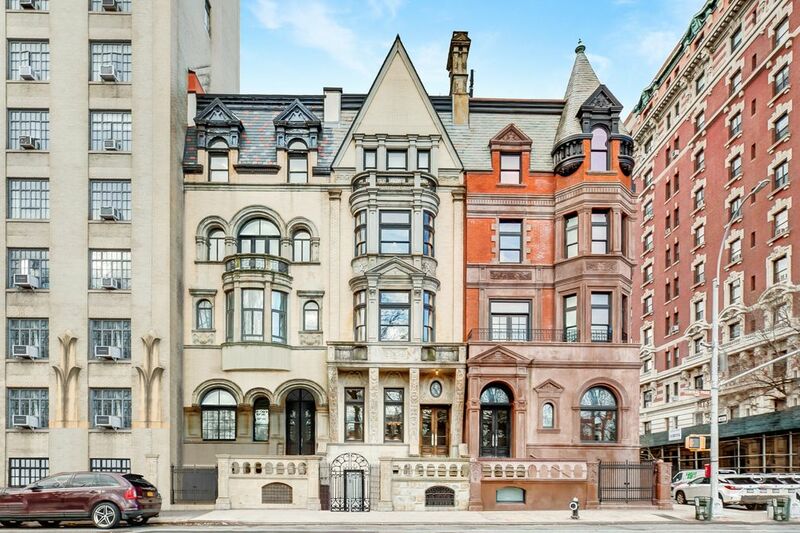 The grandeur of late-19th-century Manhattan fills the versatile interior, which has been updated with an open, airy ambiance and 21st-century technologies and amenities. 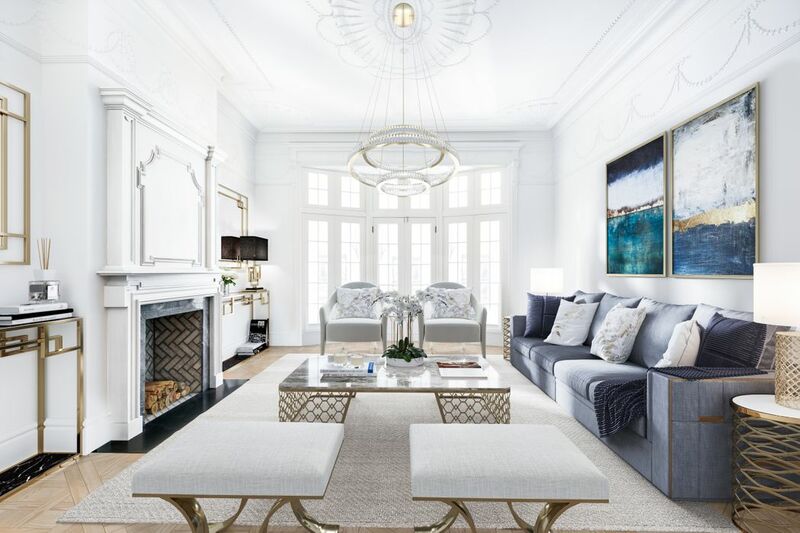 The journey from Manhattan’s elegant past into its future begins in the foyer, with its patterned limestone floor, antique ceiling pendant, and view of Central Park. 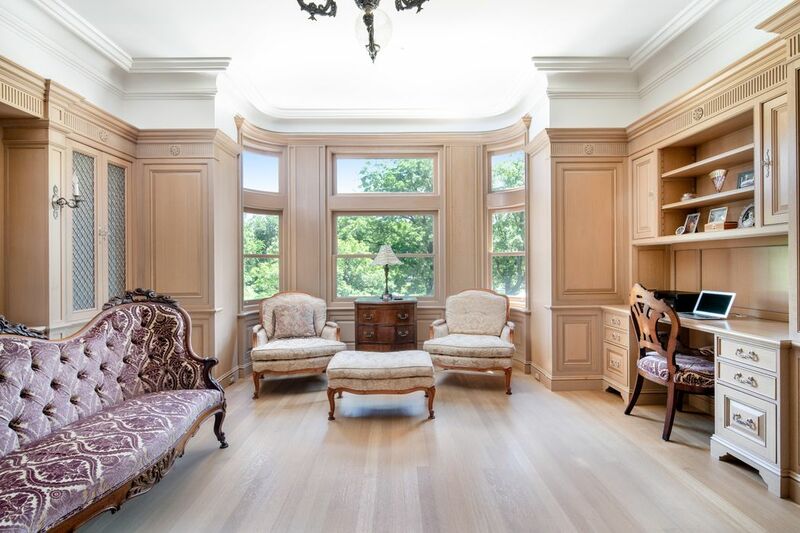 Beyond lie a library with floor-to-ceiling bookshelves and a formal living room. 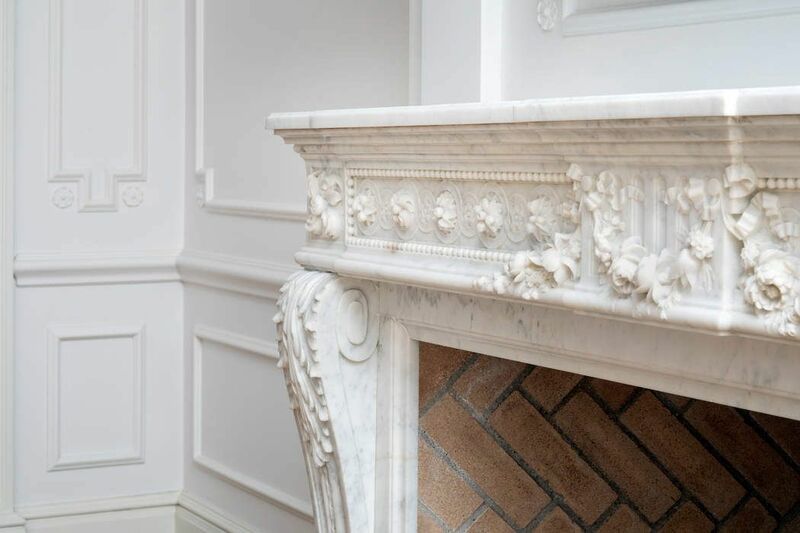 Decorative plasterwork, oak wainscoting and parquet de Versailles floors, antique fireplace mantels, silvered hardware, and ornate light fixtures contribute to a sense of Old World luxury. The lowest level, accessed via stairs or elevator, includes a marble natatorium with a 50-foot lap pool and a fully outfitted gym. 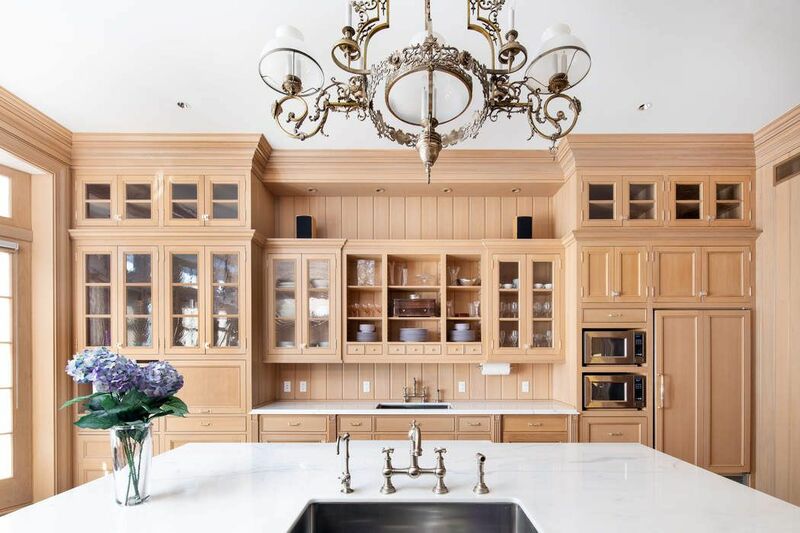 The garden level includes a guest suite, a recreation room and kitchen, and a theatre. With its lush foliage, the garden unites indoors and outdoors and includes a patio for alfresco entertaining and a fountain. 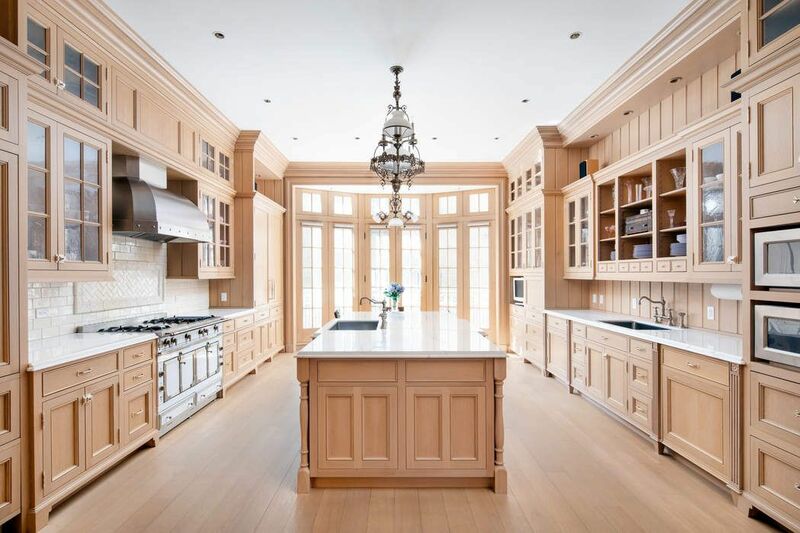 A grand staircase ascends to a park-facing formal dining room with a magnificent carved ceiling and a Victorian-inspired kitchen with 21st-century proportions and technologies; La Cornue, Miele, and Sub-Zero appliances; triple-ogee-edge marble countertops; antique pendant lighting; and doors to a Juliet balcony. 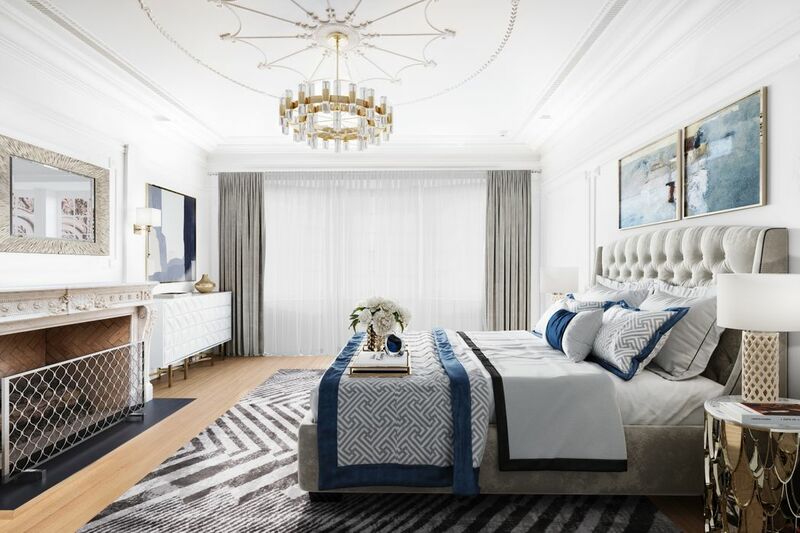 On the third level is a lavish master retreat with an 18th-century fireplace and en suite baths offering two water closets, marble mosaic floors, and a Waterworks jetted tub. Three guest bedrooms are secluded on the level above. 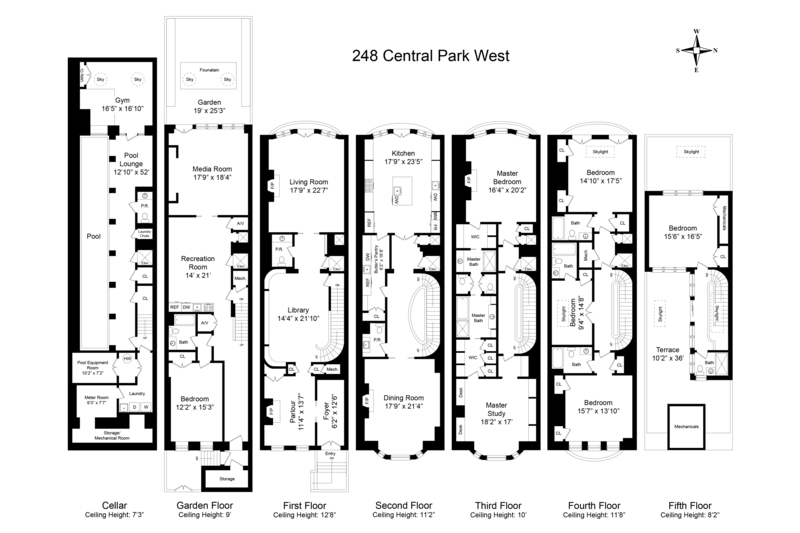 The uppermost floor features a bedroom with a westward view and a roof deck with a rare vista across Central Park, from the reservoir to the midtown skyline. 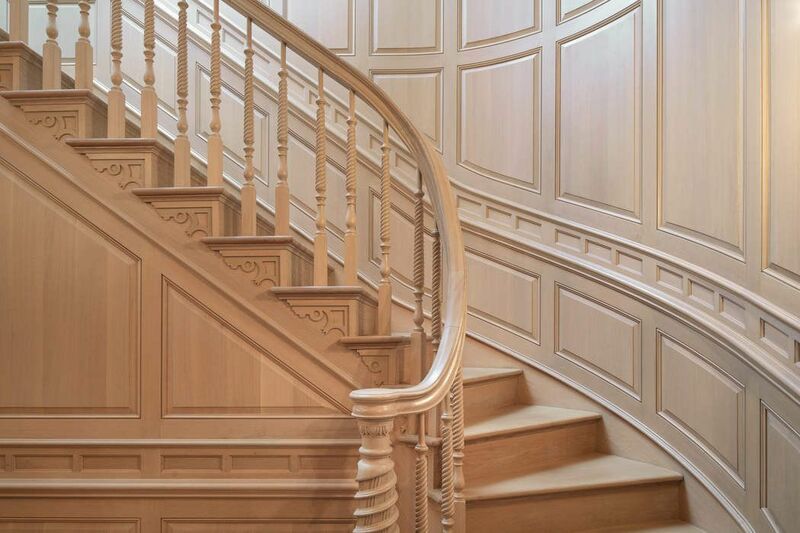 NBC New York, "Home Tour: Preserving Beauty on Central Park West"
Mansion Global, "Manhattan Townhouse With Pool Lists for $29 Million"
The New York Times, "A Central Park West Townhouse, Rooted in History, On the Market for $29M"
One of only three townhouses remaining on Central Park West, this thoroughly restored Queen Anne mansion affords luxurious modern living while paying homage to its distinguished past. 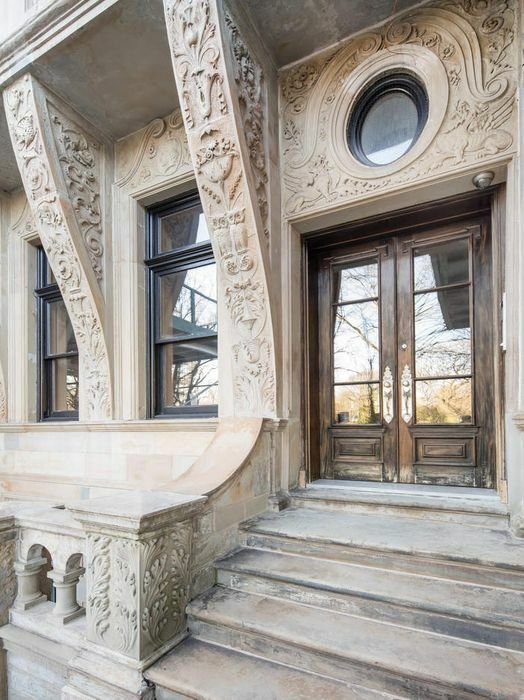 The eye-catching facade is distinguished by an ornamental gate and restored museum-quality sandstone carvings. 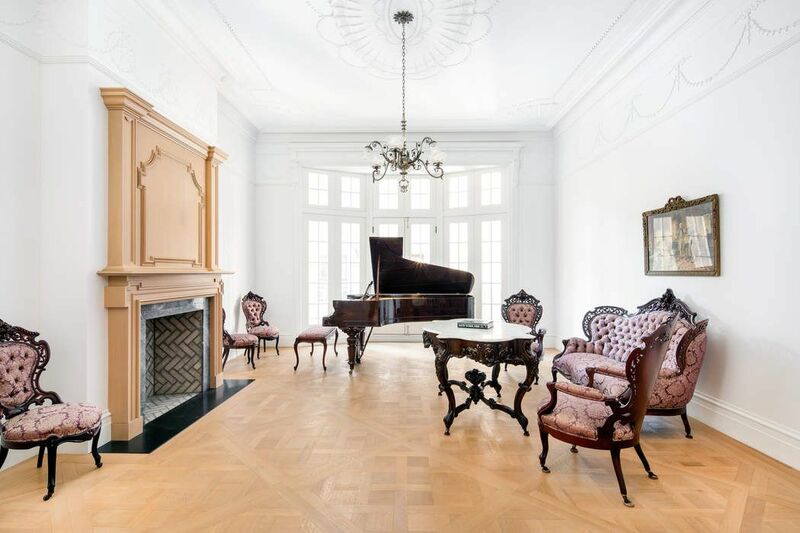 The grandeur of late-19th-century Manhattan fills the versatile interior, which has been updated with an open, airy ambiance and 21st-century technologies and amenities. 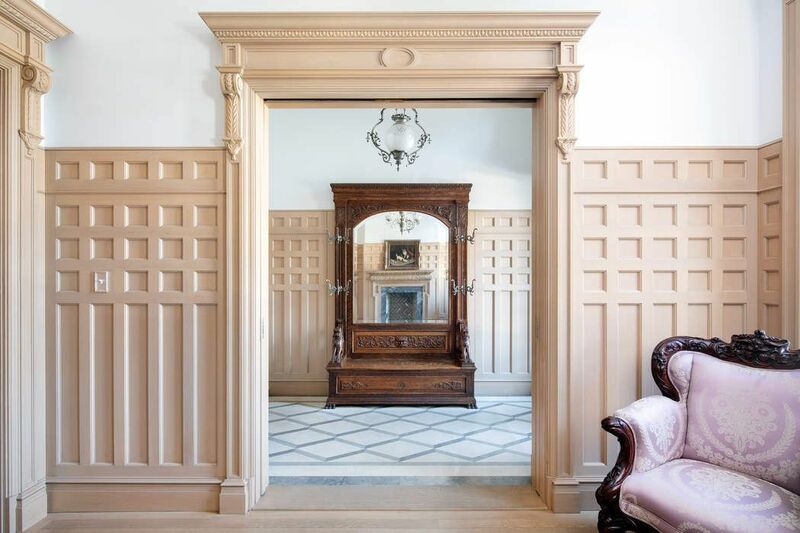 The journey from Manhattan’s elegant past into its future begins in the foyer, with its patterned limestone floor, antique ceiling pendant, and view of Central Park. 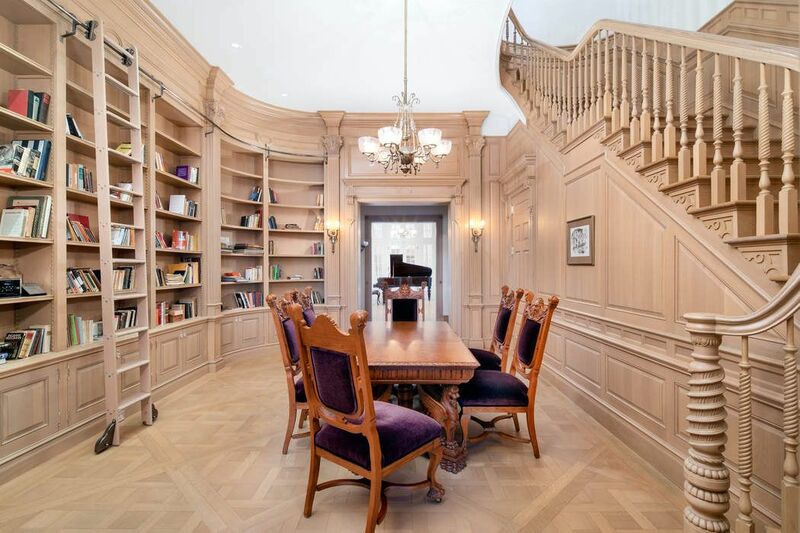 Beyond lie a library with floor-to-ceiling bookshelves and a formal living room. 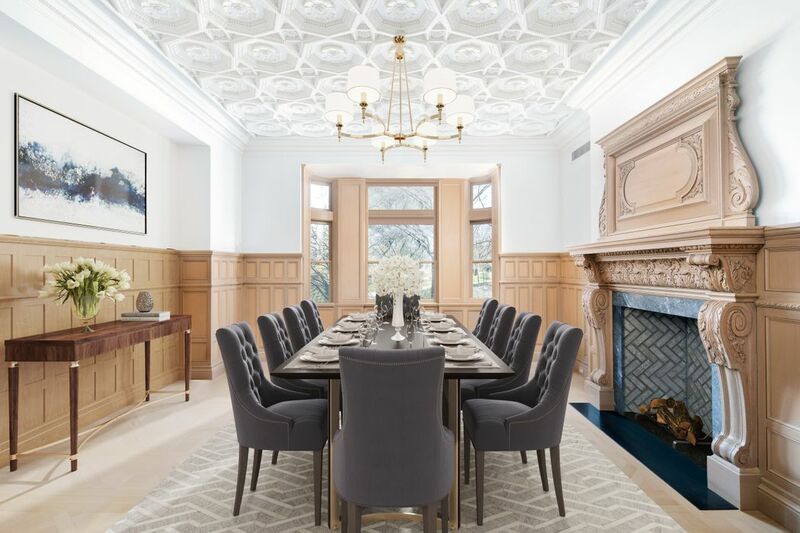 Decorative plasterwork, oak wainscoting and parquet de Versailles floors, antique fireplace mantels, silvered hardware, and ornate light fixtures contribute to a sense of Old World luxury. The lowest level, accessed via stairs or elevator, includes a marble natatorium with a 50-foot lap pool and a fully outfitted gym. 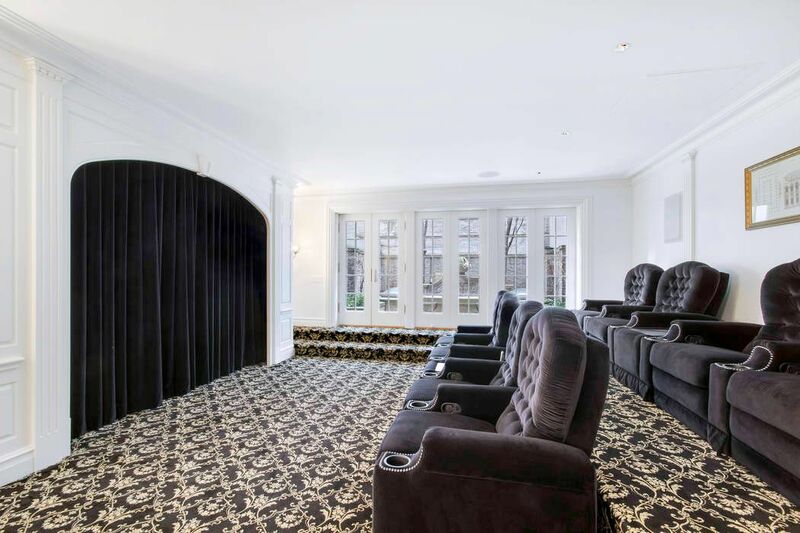 The garden level includes a guest suite, a recreation room and kitchen, and a theatre. 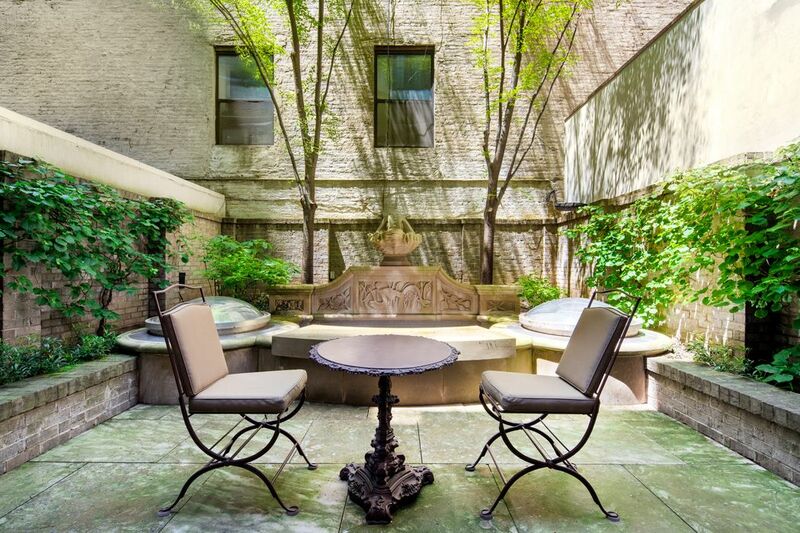 With its lush foliage, the garden unites indoors and outdoors and includes a patio for alfresco entertaining and a fountain. 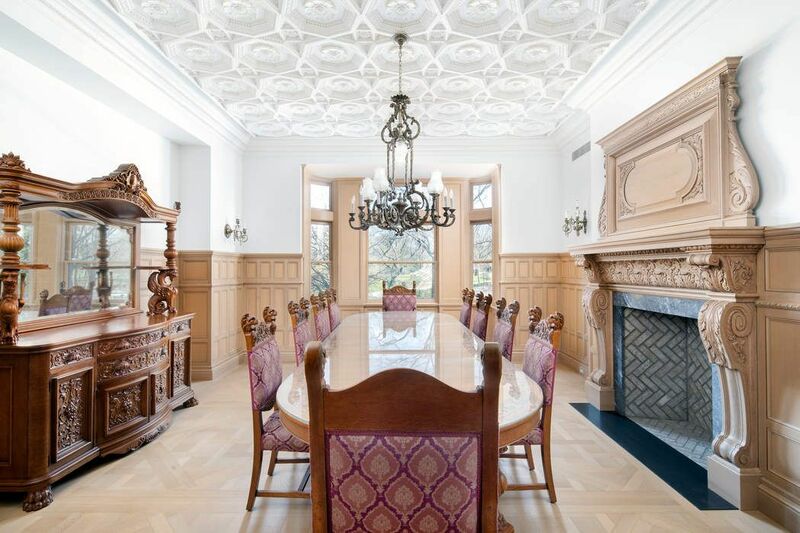 A grand staircase ascends to a park-facing formal dining room with a magnificent carved ceiling and a Victorian-inspired kitchen with 21st-century proportions and technologies; La Cornue, Miele, and Sub-Zero appliances; triple-ogee-edge marble countertops; antique pendant lighting; and doors to a Juliet balcony. 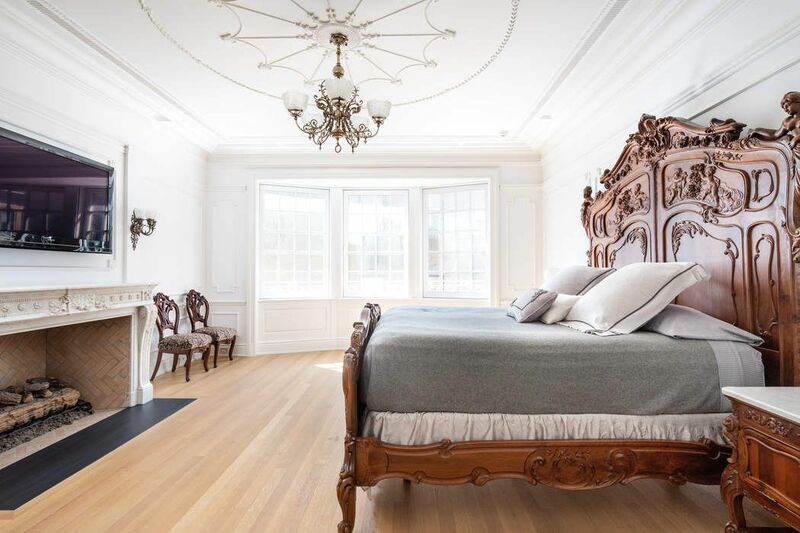 On the third level is a lavish master retreat with an 18th-century fireplace and en suite baths offering two water closets, marble mosaic floors, and a Waterworks jetted tub. Three guest bedrooms are secluded on the level above. 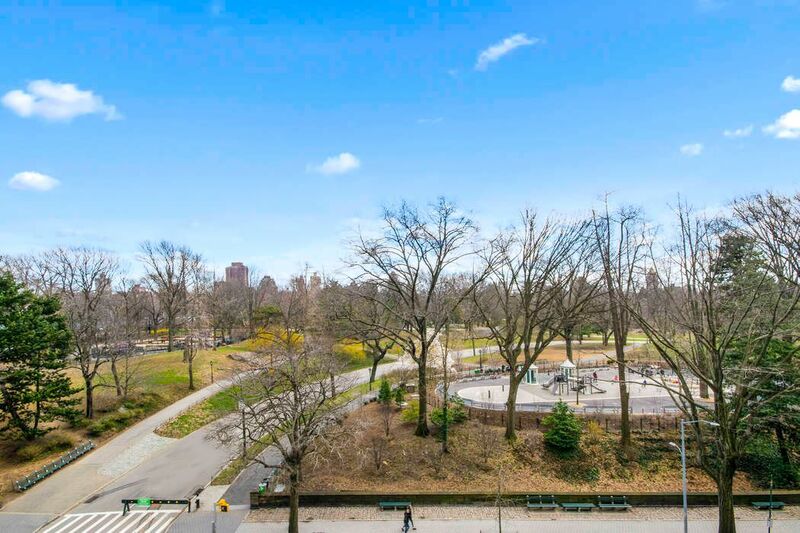 The uppermost floor features a bedroom with a westward view and a roof deck with a rare vista across Central Park, from the reservoir to the midtown skyline.